In a distant land, hidden deep in a valley and surrounded by forests, there was a mighty Žiče charterhouse full of life. This was the time of the Middle Ages in Europe and it was the perfect place to store knowledge and preserve it long after their disappearance. 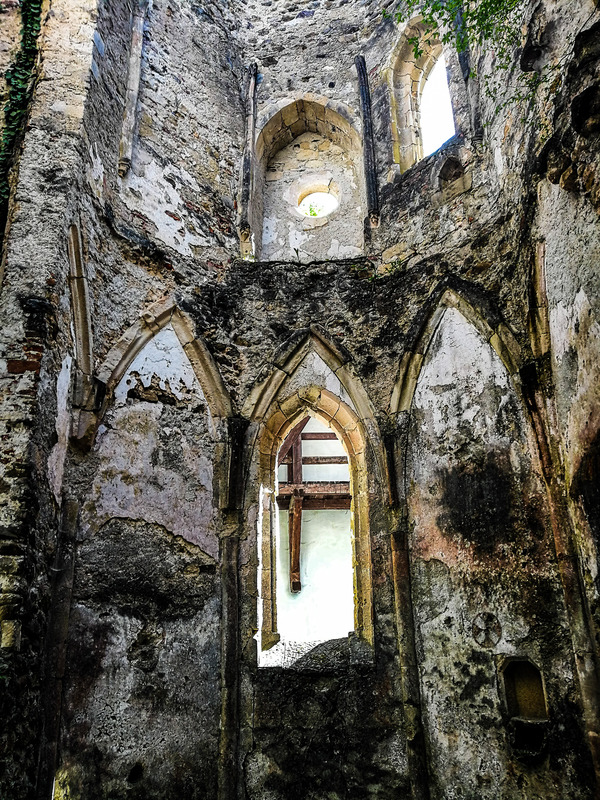 The special energy of this place, peace, and tranquility, untouched nature and awareness that something Carthusian was located here once, convinced us to go on a family trip here to visit and explore this complex as well. 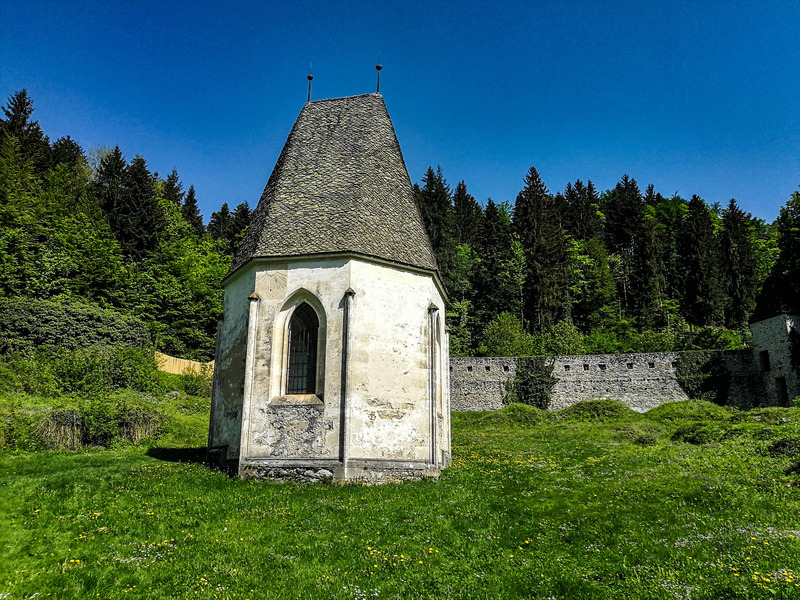 It is not a coincidence that this Carthusian monastery in the tranquil, remote St. John the Baptist Valley was settled by Carthusian monks from the Grande Chartreuse in France. They found an untouched part of the world in this hidden valley, where they could live according to the strict rules of the Carthusians – humility, remoteness, prayers, and meditation. Two monasteries, the upper and the lower one, were built in the year of 1165 connected by the beautiful St. John the Baptist Valley. Soon the Carthusian monastery became a center of culture and politics in the territory of present-day Slovenia. You can only reach this site with a car because there are not any train or bus stations close to it. The narrow village road winds between the rolling hills and forests. There are two access roads leading here. None of us has ever been here before. We used Google maps and of course, it leads us on an even more local road through the forest. In the last part, the road became a forest road and asphalt was replaced by macadam. The only way we knew that we were going the right way is because we saw the signs for Žiče. Despite this, we were finally able to see a clearance leading out of the forest with the charterhouse standing there. The parking space was already quite full, but we were able to find a spot to park our car as well. The first building we passed and where the parking is located is Gastuž. This is the oldest inn on Slovenian territory dating back to 1467. We decided to have lunch here when we finish with the tour. Besides this, there is also a tourist information center where you buy tickets for the Charterhouse. From 1st of April till 30th of November it is open every day, except on Mondays. It opens at 10 am and closes between 4 pm and 8 pm. The admission for students and seniors is 4,50 € and for adults is 6,00 €. There are even more discounts on some discount cards. With the tickets, maps, and audioguides we were prepared to explore the complex. In the beginning, we visited some of the permanent exhibitions. The first part is called ”Cultural Heritage of Žiče Charterhouse”. It tells all about the beginnings of the Charterhouse, about the monks and the manuscripts that they wrote. The Carthusian order never preached religion through the spoken word but took to spreading it in writing, accepting into the order only people with a good knowledge of foreign languages and exemplary writing skills. They devoted a large part of their lives to producing precise copies of existing texts as well as creating new ones on a wide range of topics, from theology to astronomy, from practical sciences to those more literary in nature. In the 14th century, the Carthusian monastery boasted a library of over 2,000 books, which was larger than all but the one found at the Vatican. There are a couple of other permanent exhibitions in this building, including one, named ”Step by step” where you can learn on 13 panels about more than 30-years old effort of a complete renovation of the complex. 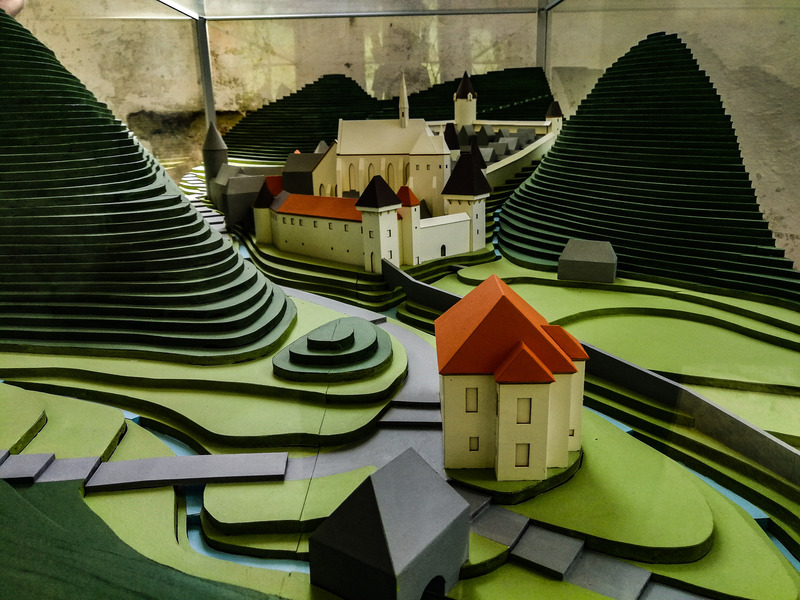 A scale model of how Žiče Charterhouse used to look like in the past. This sacral complex has quite an interesting name and like with a lot of historical places in Slovenia, there is a legend behind it. It is more like a pseudoetymology of the monastery name. When the Margrave of Styria Ottokar III returned from the Second Crusade, he wished for some relaxation and therefore visited Leopold from Gonobitz to go hunting on Konjiška gora (English: Mount Konjice). Coincidentally he came to a shady hollow in the south part of the mountain, where suddenly an extremely white hind appeared in front of him. He followed it as bewitched on his horse, but because he was not able to catch it he fell asleep in the shade on the hot summer afternoon (on St. John the Baptist’s day). A man in a white fur coat appeared in his dream and revealed himself as St. John the Baptist, ordering him to build a monastery on this place. At that moment a rabbit jumped into Ottokar’s lap because it was frightened by the hunter’s screaming. The saint’s image disappeared and Ottokar shouted: “A rabbit, look, a rabbit!” Because of this rabbit, the monastery was called “Seiz Charterhouse” (the Slovenian pronunciation of rabbit, zajec, is written Seiz in German) for a long time and has the initial “S” in its coat of arms. Below the building that holds the exhibition, there is another interesting feature. Around 60,000 bottles of sparkling wine are cooling down in Otokar Sparkling Wine Cellar. This keeps a memory on rich vineyard tradition of the Carthusian order. You can visit the wine cellar on a pre-arranged tour, otherwise, it is closed. The biggest building in the complex was the main monastery building, together with the Church of St. John the Baptist. 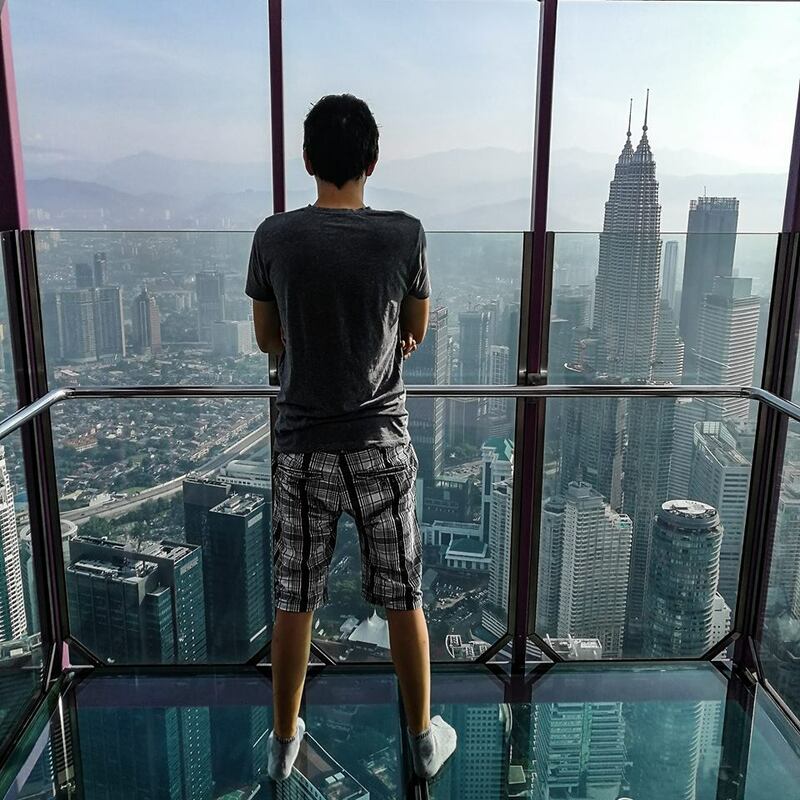 In present time it is mostly in ruins, so you can freely explore it. Next to it is the location of the first pharmacy. The Carthusian order was known for growing all sorts of herbs as well and for this purpose they had two big herb gardens. Nowadays there is a herb shop where you can buy different kind of herb teas, liquours and other products that all have health benefits. Next to the cash register you can climb the wooden ladder up to the 2nd floor, just be careful because the ceilings are very low. On the 2nd floor, you can learn more about the rules under which the Carthusian order lived, their slogan was Ora et Labora, meaning pray and work. I noticed small doors that are leading to the outside terrace. Once again it is very small, so be careful when entering and exiting the terrace. 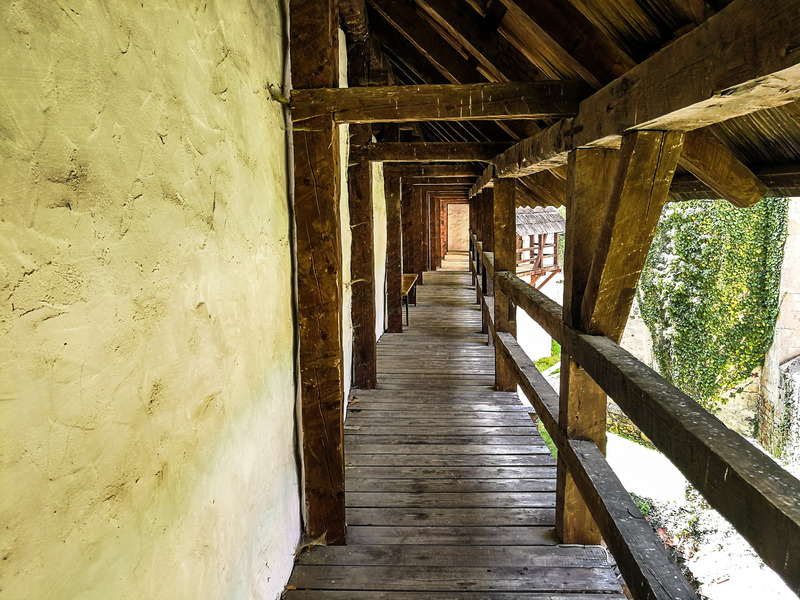 From this terrace, more like an outside wooden hallway, you get a great view over the entire complex. 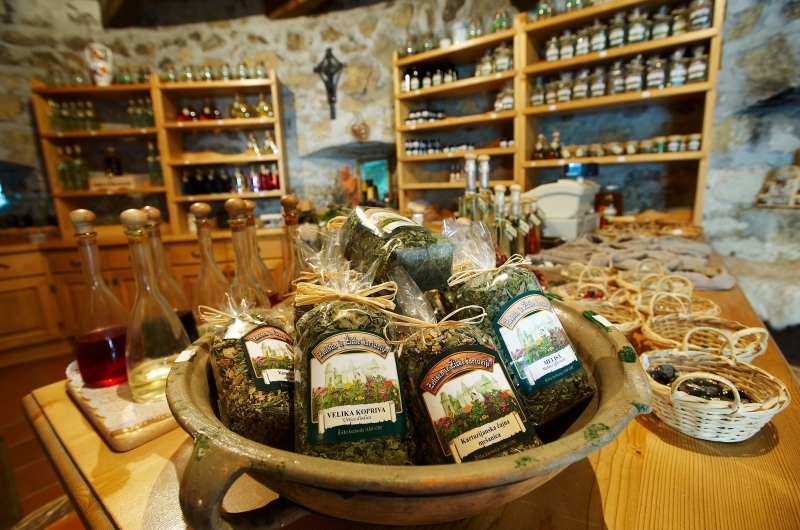 The herb shop with various products. The 2nd floor of the former pharmacy building. After we explored the charterhouse we went back to return the audioguides. Then we went upstairs, where the restaurant is located, to get lunch. 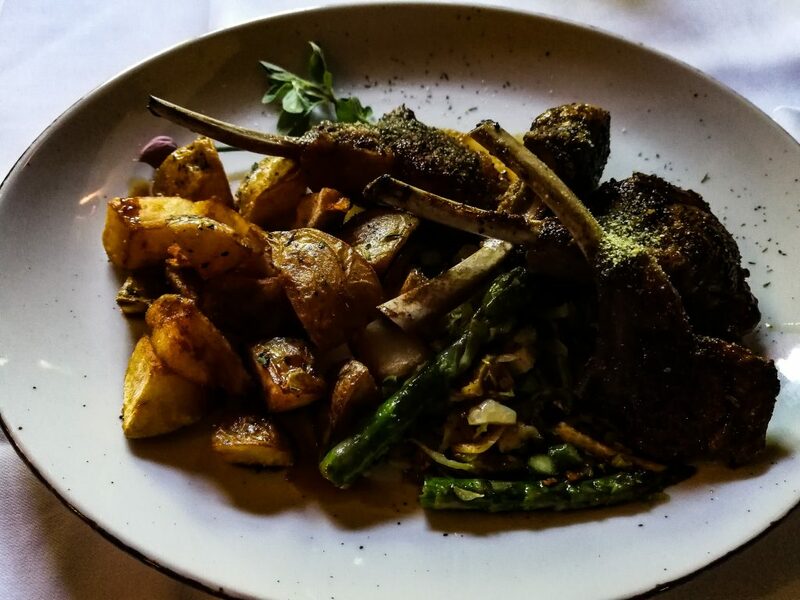 Their dishes are based on the season and seasonal ingredients. 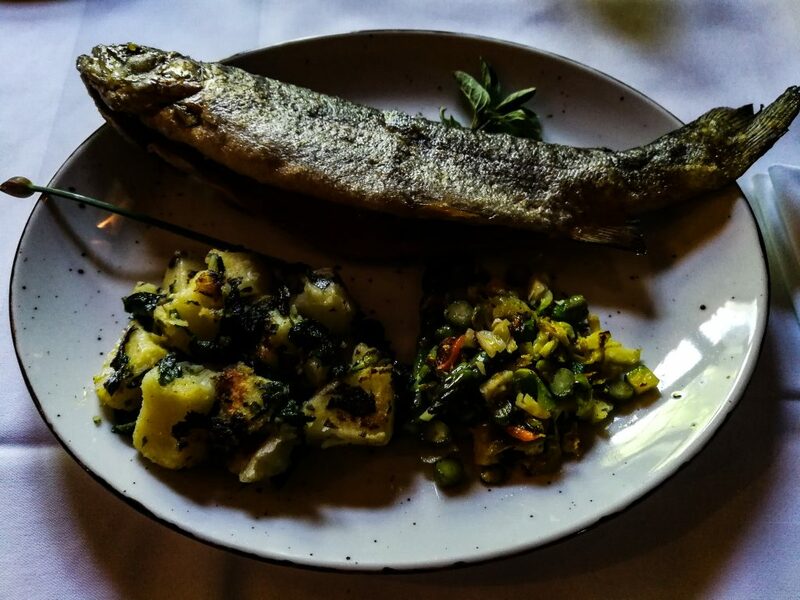 We all started with asparagus soup and then we ordered rack of lamb in herb crust with young baked potatoes and vegetables, fresh trout from Stranica pond with cooked potatoes and wild garlic. 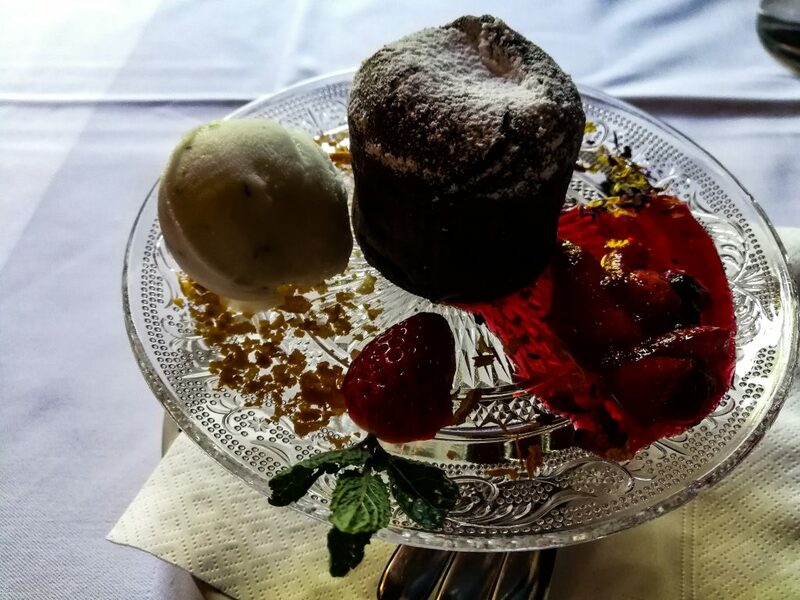 And for dessert, we had Chef Ana’s homemade souffle with lemon-basil ice cream and strawberry sauce. This can be a great half day trip from Celje, 4th biggest city in Slovenia. 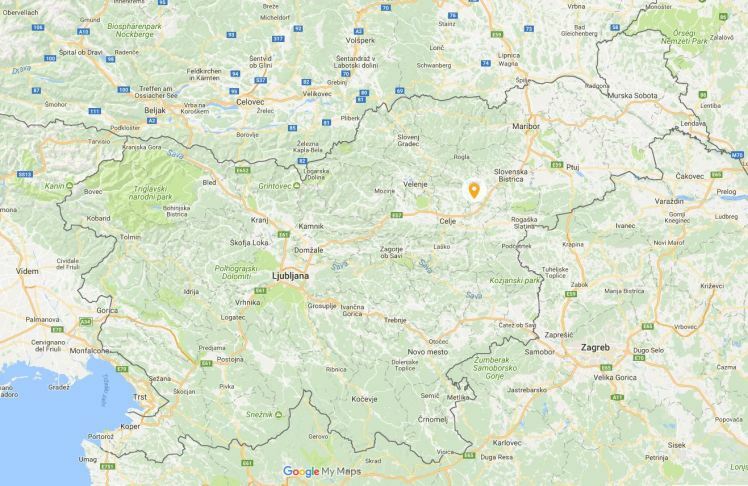 You can also combine it with a few other sites nearby, like the old town of Slovenske Konjice, or you can make it a day trip from Ljubljana because all of these locations are in within one hour drive from Ljubljana. 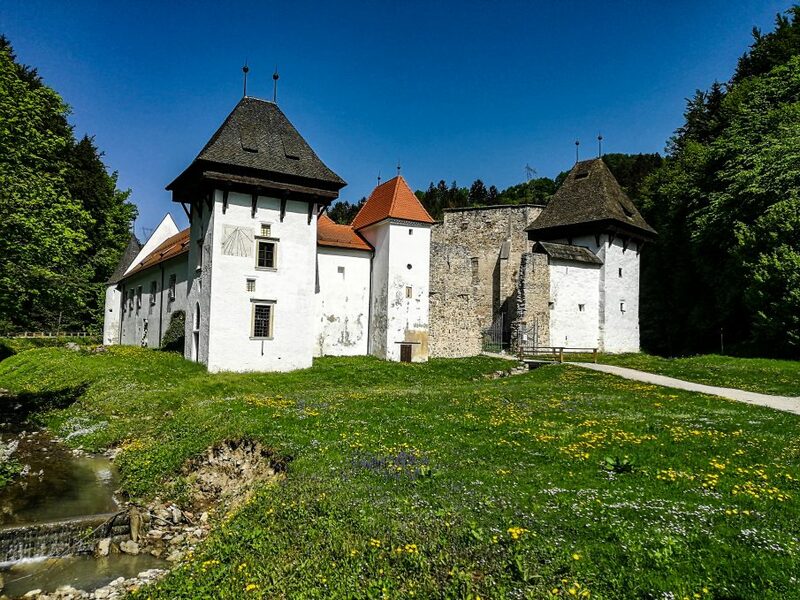 This article is meant to attract visitors to other parts of Slovenia that are as beautiful as the places that are currently the most visited, if not even more beautiful. The Charterhouse is accessible by car either taking the A1/E57 and the exit direction to Dramlje/Šentjur and from there taking the road 686 and following the indications; or a little longer but recommended (better road), also in the A1/E57, take the exit direction to SI. Konjice/Poljčane/Zreče, and also follow the road 686 through the villages of Draža vas, Žiče and, the monastery.